The lodge sits nestled beneath massive mountain peaks that are white-capped year round. It is all brand new, but looks very old like a National Park Lodge and it sits on the edge of the Town of Breckenridge’s Cucumber Creek Preserve. The new location is teeming with wildlife and has an easy topography for hiking, biking, and XC skiing. The Daytons described the construction project as a “labor of love.” It began in October 2012 and the lumber was harvested from the Pine Beetle devastation in the area. The logs were milled and lathed at Dayton’s local sawmill operation and the log peeling and staining were done by hand. The building will be energy-efficient with foundation insulation panels and thick roof insulation to make the log structure more weatherproof. The construction also utilized 110 spruce trees that were felled during the Breckenridge Ski Area gondola project. The new lodge has great vistas, trail access, interior space for retail and rental operations, as well as larger and more desirable restroom facilities. The log lodge has an Olde World “Black Forest Nature” theme with wood carvings, and wildlife artwork featured throughout the spacious Grandview Room. The huge handcrafted Spruce and Douglas Fir log posts and truss beam structure overhead, reveals a “wide open” feel with the Cedar Branch Loft railing on the Mezzanine Level, the Lodgepole Pine Beetle Killed tongue and groove ceiling, Arkansas Moss Rock Stone fireplace, Information Guest Services desk, and Supreme Gold granite Café Bar top all with comfy in-floor heat over Red Pine flooring at your feet. The Savory Spoon Café & Wine Bar will be serving Grab n’ Go food/drinks, as well as warm and hearty homemade Soups/Chili, Fresh Green Salads with plenty of toppings, and Hot Grilled sandwiches, and more. Seating will be available on the warm fireplace hearth, in the lounge dinning room, or outdoors at the South Café table or on the West Grandview Patio. The Daytons worked with 14 landowners and 7 homeowner associations in planning and the site is right on the local bus shuttle route. Landowners donated land for open space and recreation. The town also worked cooperatively grading the parking, which is paved with asphalt and lighted, with dense Spruce Tree and Colorado Native Landscaping and wildflowers. Patrons can easily drive right up to the front door for a quick Skier Drop Off under the covered Porto Cochere that’ll be especially nice for families with small children, elderly folks, and/or guests with disabilities. The town granted access to the adjacent property in the Cucumber Gulch Preserve, where the historic Joses mining cabin is located and the wildlife is plentiful. The Breckenridge region is known for the 13 pound, 7 ounce gold nugget that was found in 1887 by Tom Graves, who nuzzled it like a baby to keep people from discovering it. “Tom’s baby” as it is known is still on display at the Colorado Museum of Natural History in Denver. The lodge is at 9,800 foot elevation and it has window views of the Ten Mile Range and Breckenridge’s Peaks 6 and 7. 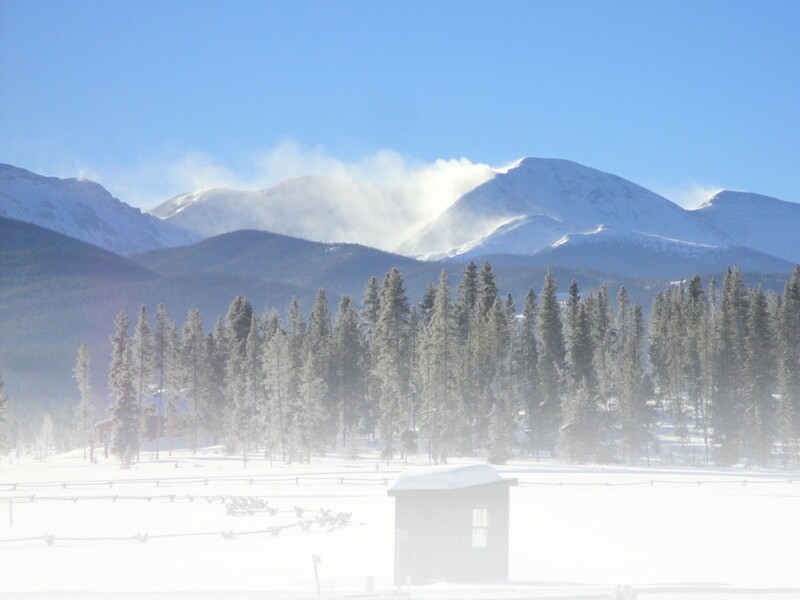 For local XC skiers and those traveling to Breckenridge as a destination, there are 30 kilometers of groomed ski trails and there are also 18 kilometers dedicated for snowshoers. In the summer, the lodge will host nature programs, weddings, and other events. Connected to US Forest Service land, the Breckenridge Ski Area, and Summit County land the facility is adjacent to endless trails for hiking, biking, and horseback riding. 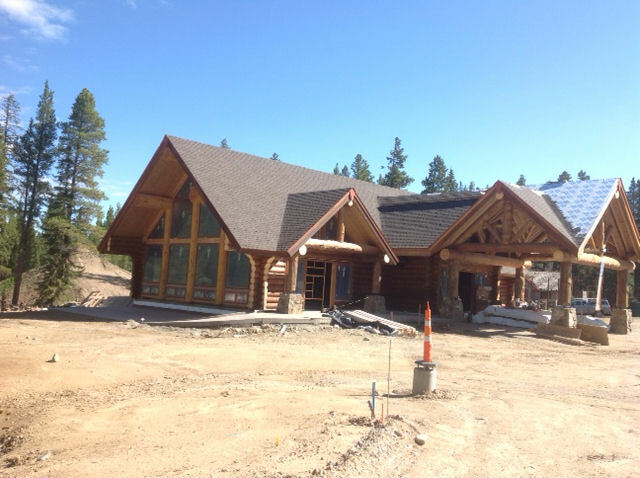 As a year round recreational facility, the Oh, Be Joyful Log Lodge will put Breckenridge on the map to become a mecca for XC skiers and snowshoers. Skied and snowshoed there last winter for the Breckebeiner 60 event while the lodge was under construction. It is truly a beautiful area with fabulous trails and scenery!